j is for jest, jester, joke, joker, and james joyce. did you know that there is a james joyce pub award!? I'm not jiving - sunday as we were leaving p.j. mcintyre's, one of our favorite local pubs, we saw a plaque indicating that p.j. 's joined this esteemed group - no joke - see for yourself, just look to the right that's a snap of p.j. 's very plaque. 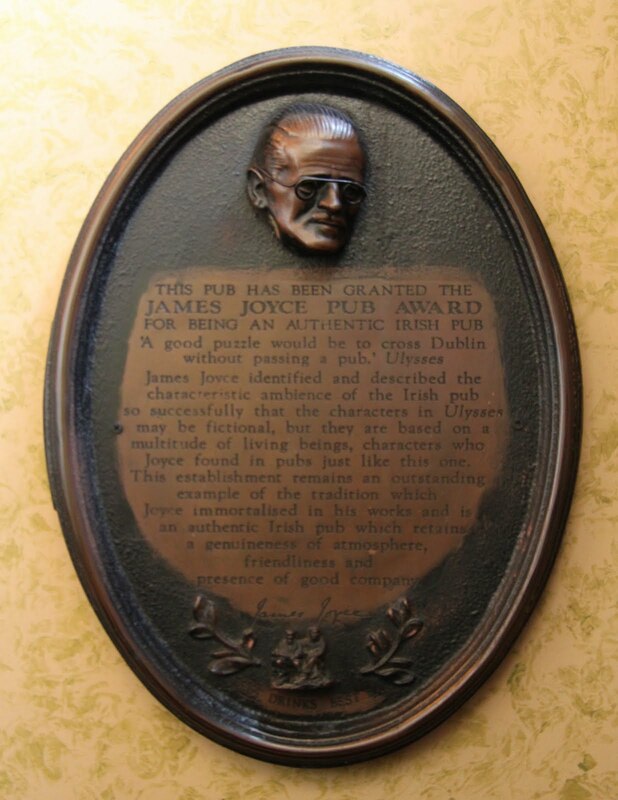 ... has been granted the James Joyce Pub Award for being an authentic Dublin Pub. " A good puzzle would be to cross Dublin without passing a pub" Ulysses. James Joyce identified and described the characteristic ambiance of Dublin pub life so successfully that the characters in Ulysses may be fictional, but they are based on a multitude of living beings, characters who Joyce found in pubs, just like this one. This Establishment remains an outstanding example of the tradition which Joyce immortalised in his works and is a truly authentic public house which throughout the years has retained its down to earth genuineness of atmosphere, friendliness and presense of good company. 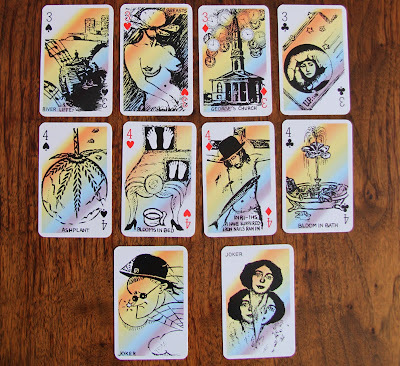 staying with joyce just for a bit - check out the jolly novelty deck below. 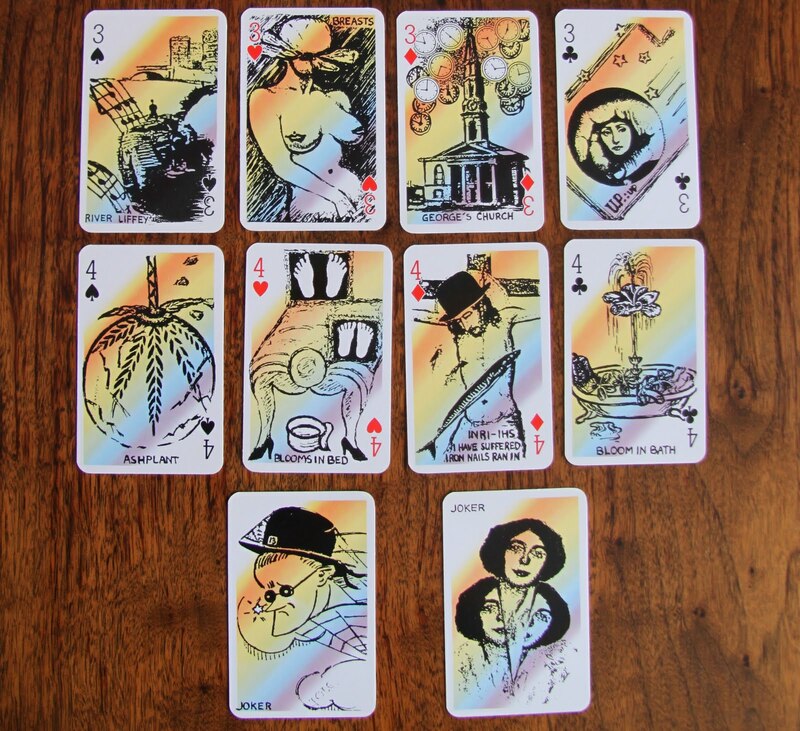 each card features a juicy little scene from ulysses - joyce's magnum opus. the book is still on my bucket list - who knows maybe I will get it done by bloomsday - at least this year I've actually started it! in the deck jumping into the role of the jokers are james and nora, joyce's wife. I started to read Ulysses last year and gave up. I've recently been challenged to give it another try with the audio version. I'll keep you posted. How very fun! Doesn't that juggler in the first picture look like Dr. Suess' Grinch? How cute! I want that deck of cards for my dad! 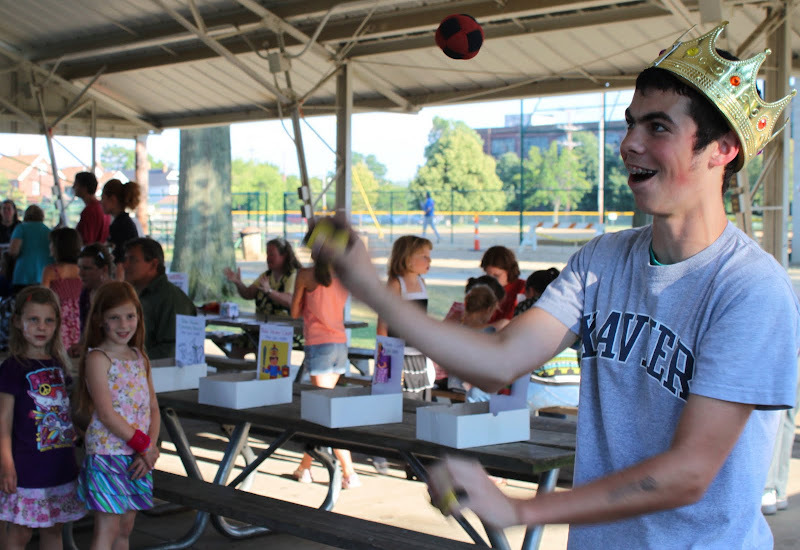 Love the picture of the juggler.